Registration for our NFL Flag Football Camp is now OPEN. 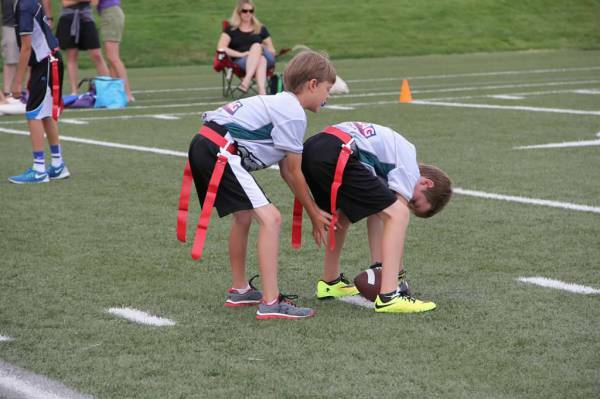 Don't miss our awesome three-day flag football summer camp, back again this summer! 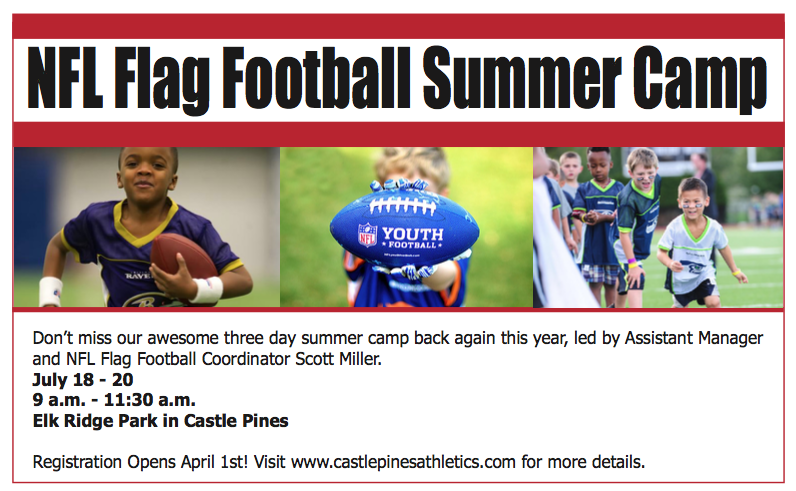 The camp will be held at Elk Ridge Park and led by Coach Matt McDonald, our NFL Flag Football Coordinator. Boys AND girls are invited to join us for two summer sessions of our NFL flag football. Our three-day camps are open to children ages 6 to 11 years old. All skill levels are welcome. During the camp, a variety of drills will be introduced and kids will be ability grouped by skill level and age. Whether your child is a beginner or has played several seasons, they will enjoy learning more about this fun program offered by Castle Pines Athletics in the spring and fall. An age-bracketed punt, pass, and kick competition will be held the final day of the camp. Our NFL Flag Football camp will be led by Coach Matt McDonald, NFL Flag Football Commissioner for Castle Pines Athletics and local resident.